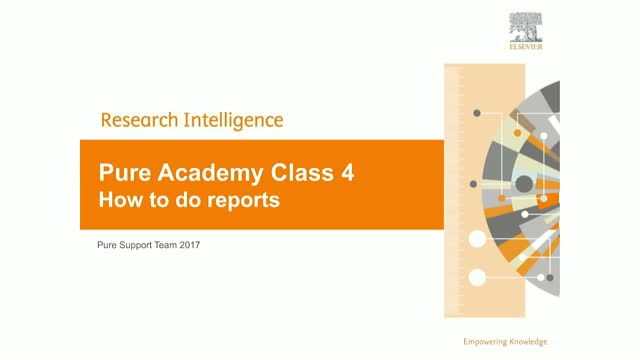 In this class, we will show you how to get started doing reports on your data. Furthermore, we give you tips and tricks on how to search and extract content lists from Pure. Note: this session mostly concerns tasks in the Reporting Module. 3:27 Who can do reports? 4:45 Step 1 - Where do I start?